A tingling sensation in the hands may be attributed to so many possible causes that it's difficult to identify the right remedy without further details. Often tingling is accompanied by numbness or by a prickling sensation, like "pins and needles." Possible reasons for the sensation range from chronic diseases to simply having excessive pressure on the limb. For example, sitting with your hands underneath your seat may cause the sensation. If symptoms don't quickly subside, or occur with any regularity, contact your doctor. Numbness in one or both of your hands may be caused by a deficiency of Vitamin B-12 or an imbalance of potassium, sodium or calcium. If you have reason to believe any of these causes are at play, contact a dietitian about changes to your diet and available supplements. If you've been outdoors recently or were exposed to insects, a bite from a tick, spider, mite or another insect may be causing the tingling sensation. 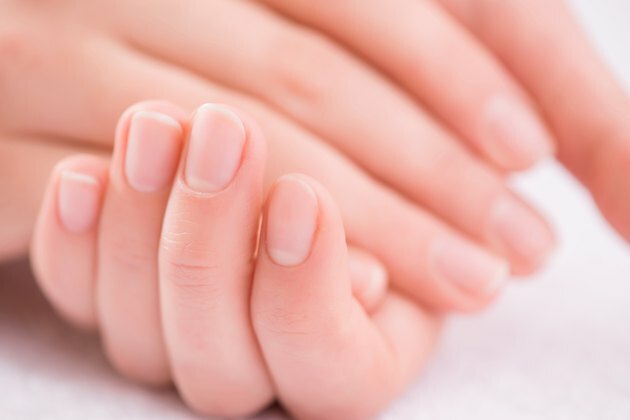 If you have held your hand in an uncomfortable position for some time, try massaging it gently. If you notice the same tingling or pain further up your arm or at your neck, a pinched nerve may be to blame; some nerves pass all the way from the neck down to the fingertips. Tingling hands may be nothing more than a passing sensation caused by posture or an insect bite. In other cases, though, the numbness indicates a more serious underlying condition. Individuals with alcoholism, HIV/AIDS, Lyme disease, peripheral neuropathy, Raynaud's disease or Guillain-Barre syndrome all experience tingling or numbness in various parts of the body. If the tingling is concentrated at your hands and arms, you may have carpal tunnel syndrome or Ulnar nerve compression. Pressure on nerves elsewhere on the body can also trigger the tingling sensation at your extremities. If you regularly suffer migraines, seizures or have had a stroke, these conditions may also trigger tingling in the hands. If the tingling sensation doesn't go away quickly, it's advisable to consult with your doctor about possible causes. If extreme tingling starts very suddenly, involves all of your arm or is accompanied by symptoms like dizziness, a severe headache, confusion, weakness or paralysis, you may be having a stroke. Seek emergency medical help immediately. When presenting your ailment to a doctor, note all the details and patterns surrounding the tingling. For example, indicate whether the tingling affects both hands, whether it spreads up the arms and whether it comes intermittently or remains steady. Also note whether the tingling is centered anywhere or is evenly distributed throughout your hand. Report any frequent activities you engage in that involve the affected hand. For example, if you work extensively with vibrating tools, you may have developed carpal tunnel syndrome. If you are seeing a new health care provider, note any medical conditions or health concerns. Peripheral neuropathy often shows up among diabetics and those with metabolic problems.